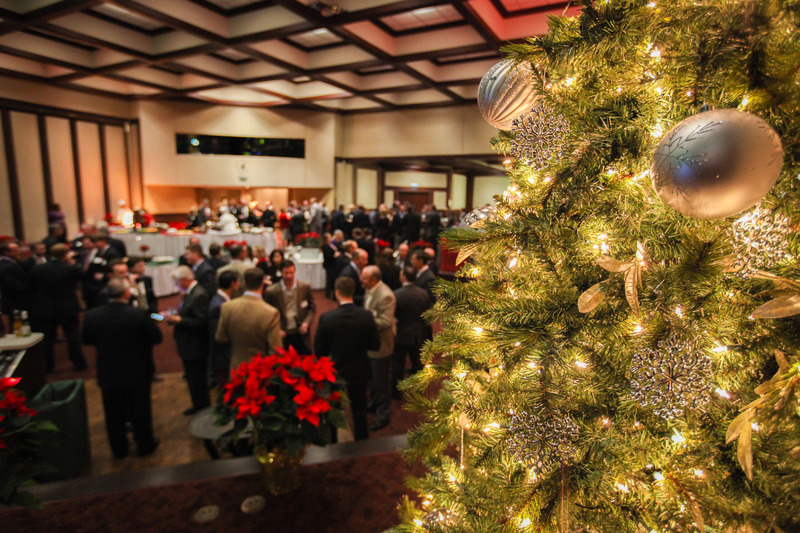 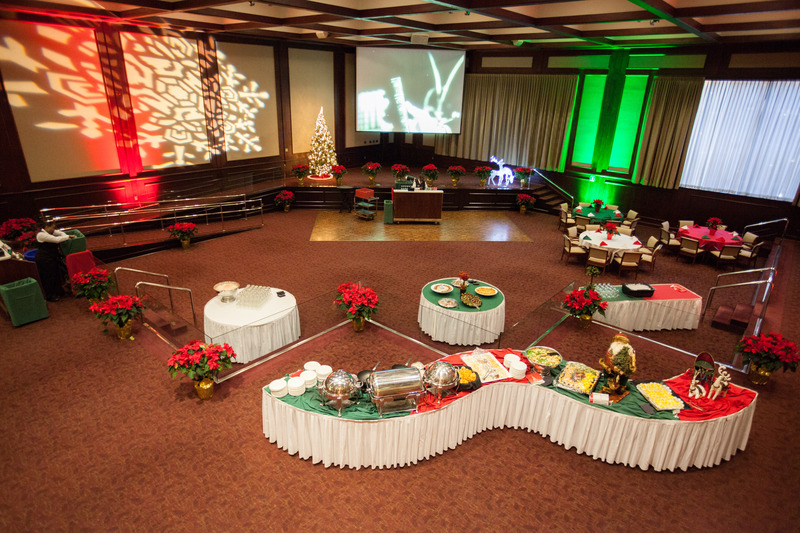 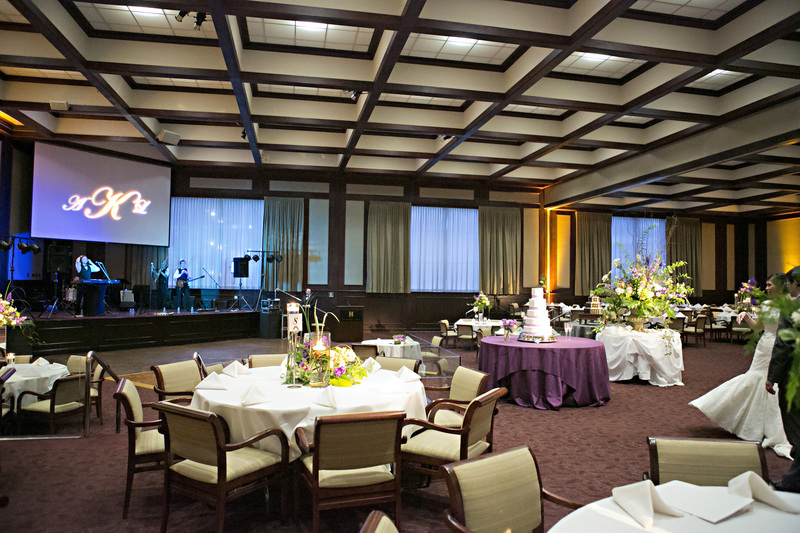 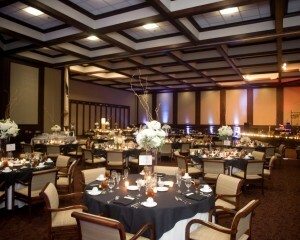 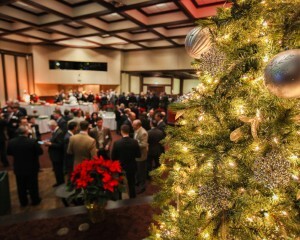 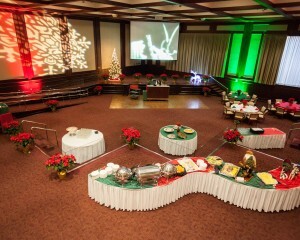 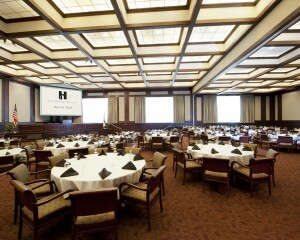 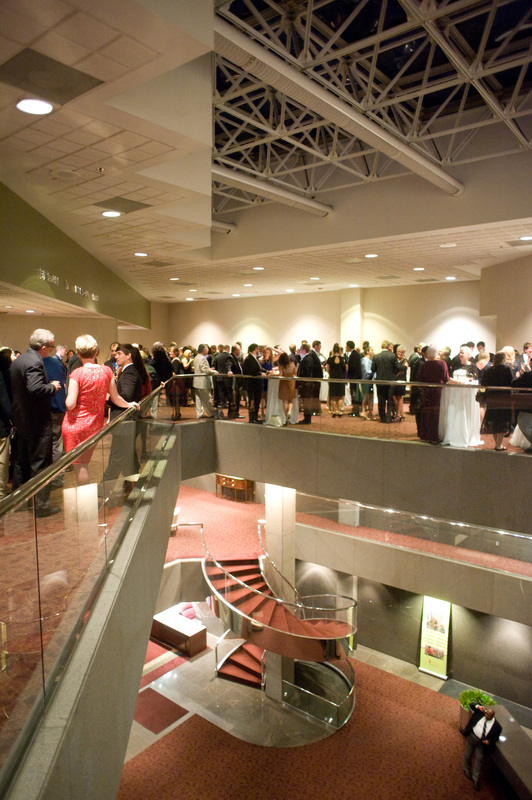 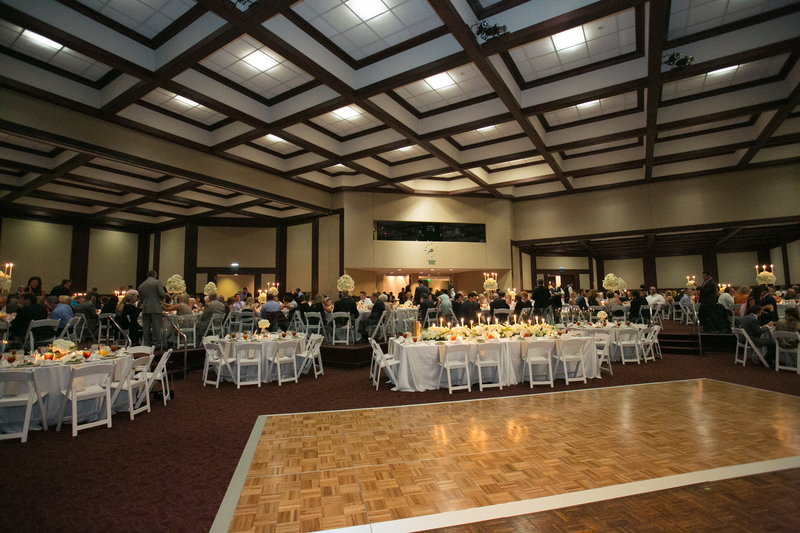 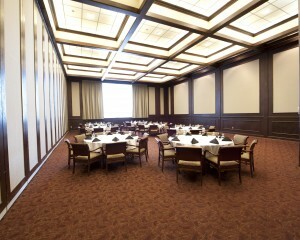 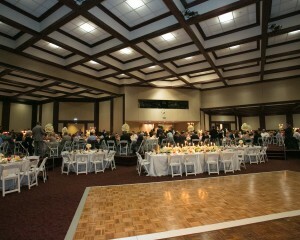 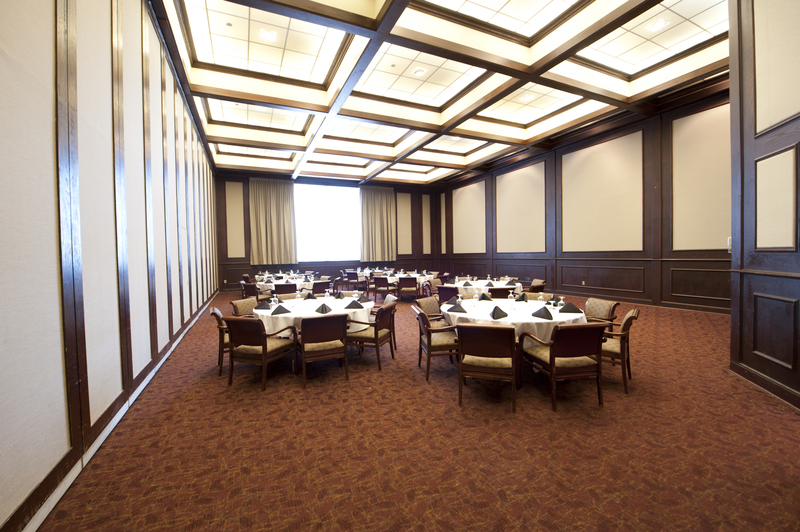 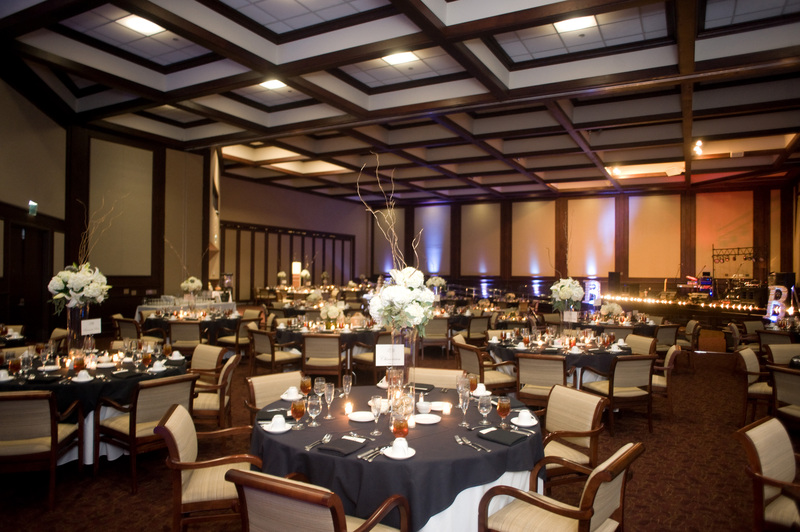 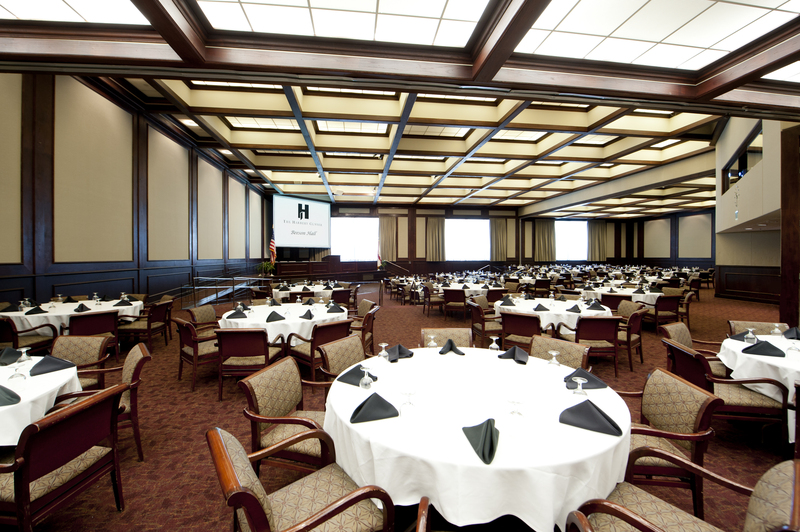 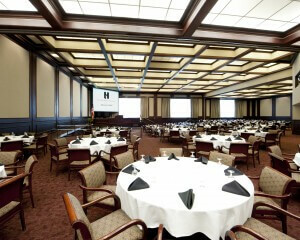 Our largest and most versatile space, Beeson Hall can host up to 400 guests for seated dining. 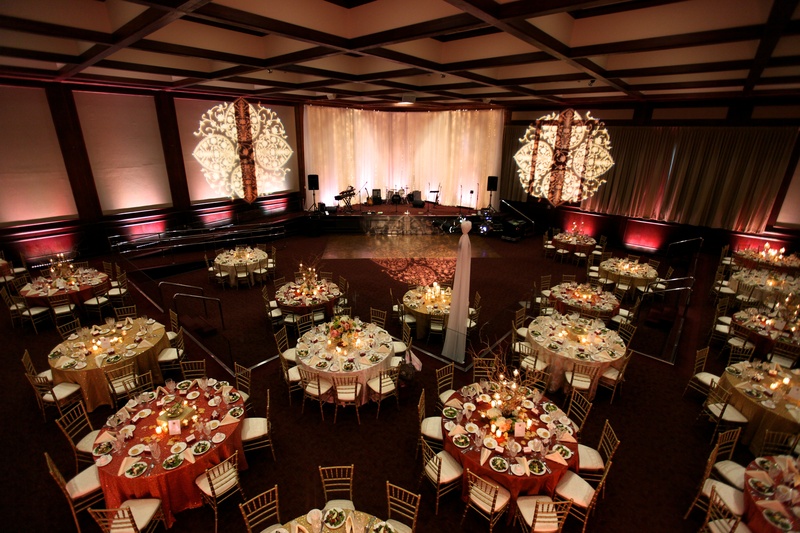 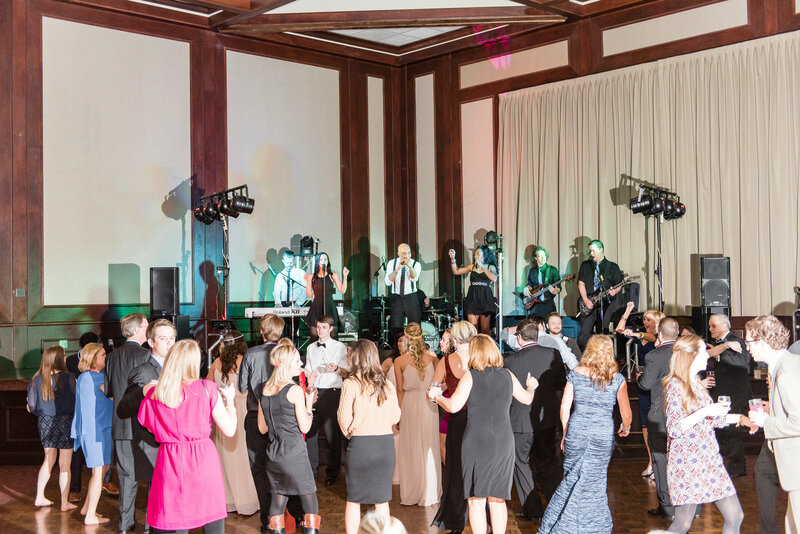 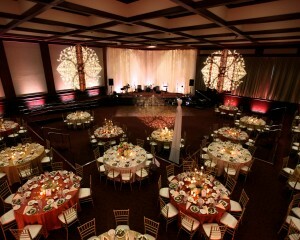 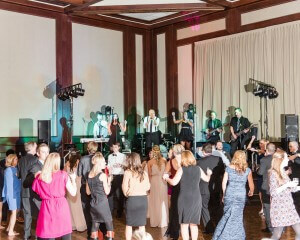 This space features a triangular shaped stage elevated over a 24′ x 13′ dance floor. 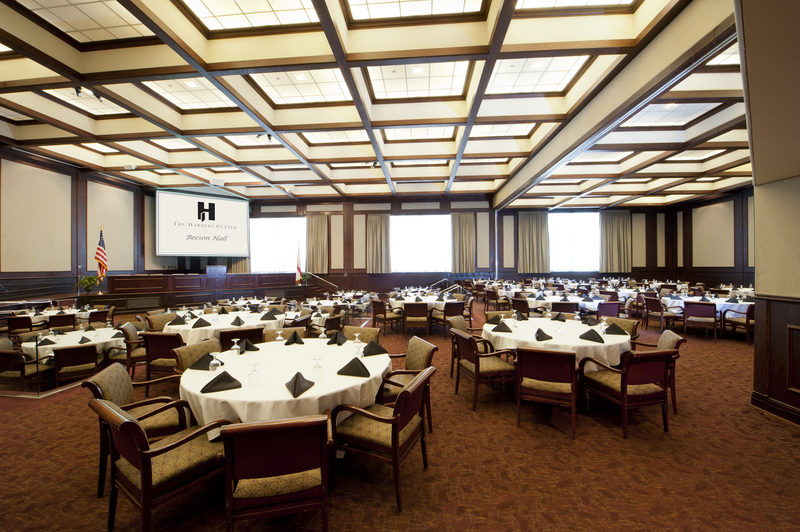 Other features include 20′ ceilings, and a large projection screen over the stage. 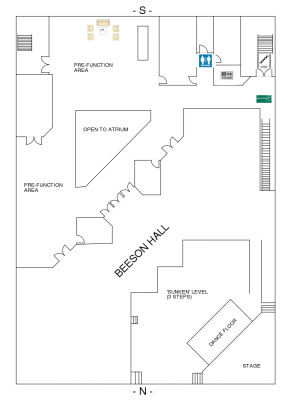 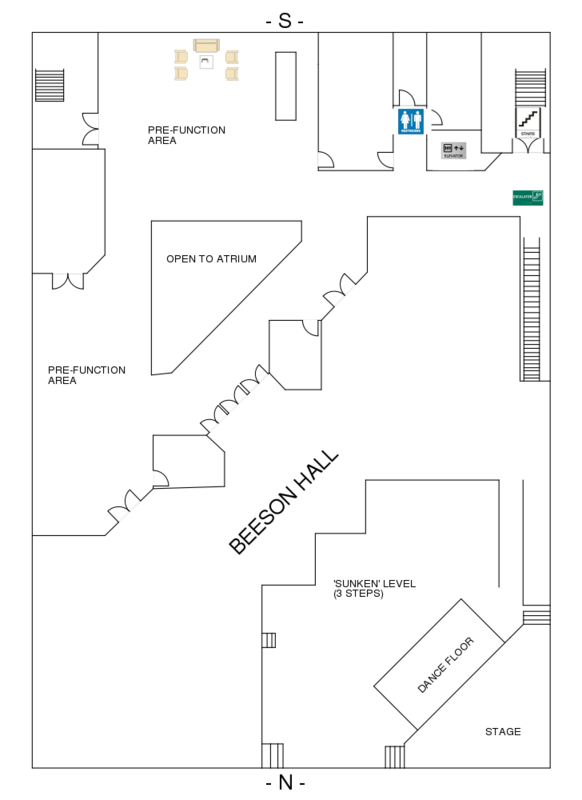 Beeson Hall can be used as one great hall or divided into three separate rooms. 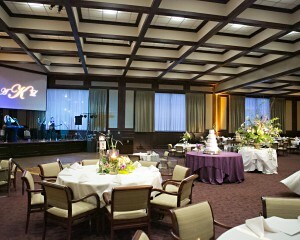 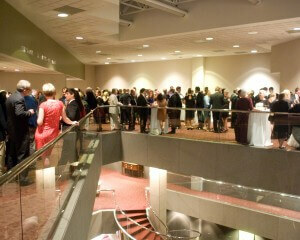 A small pre-function area is located outside the banquet hall.